And when those technologies provide information and insight to departments across a brand’s enterprise, for example providing rich data about specific product offerings, features, pricing, competitors, and more, funding implementations becomes a team sport. Given the pace at which software platforms are growing, due in large part to the advent of more affordable cloud processing and storage, many of the latest applications, including those with “play well with others” have not been as deeply analyzed academically or by industry analysts including Gartner, Forrester and other top firms who have been busier than usual covering the rapid transformation away from traditional infrastructure and systems to open ecosystems and virtualized services. The CustomerView team is uniquely qualified to develop (or co-develop) the most fulsome business cases given our rich experience solveing the complex challenges facing the enterprise (including omnichannel demands, increasing pressure on operating budgets, and stricter regulations in industries including communications services, healthcare and financial) while also uncovering new ways for our customers to outwit the competition by providing substantially better service (and better products and services). Working alongside our customers has made our platform a pioneer in the world of capturing big data with great sensitivity and presenting insights that can be positively acted upon, in the moment, and over time through pattern recognition. By tracking movements in different categories, we have created a tremendous number of KPIs and derivative KPIs, and not just those traditionally associated with contact center performance. With more granularity and more data points captured and analyzed, we have moved the notion of “customer satisfaction” or C-SAT from a soft number to a more precise science, correlating many of the performance “levers”, by looking at all aspects of conversations (at scale). We’ve developed this graphic showing, at a very high level, how our solutions have been designed and are continually enhanced with a product roadmap that combines projected operational cost reduction, revenue and margin improvements, and extremely reliable, thoroughly analyzed interaction information. 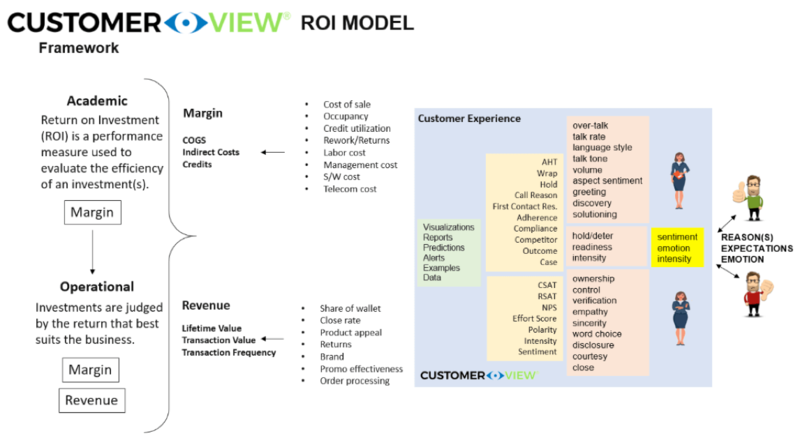 On the left, you’ll see how we help our customers develop their business plans to benefit from sentiment analysis in the new world by looking at everything from cost of goods sold, indirect costs and credits on the margin front, to lifetime customer value, transaction value, and transaction frequency on the revenue support side. Before any of our solutions are deployed, we can model, assuming access to specific data, how the information and insights CustomerView delivers can positively impact their bottom line, with calculations that correspond directly to their business and historical activity. Where things really start to get interesting is when we then also expand improvements by using to customer emotional signals, measuring (with intensity) happiness, frustration, confusion, anxiety and more, sensitively “listening” across all interactions, including voice conversations (still the most popular). 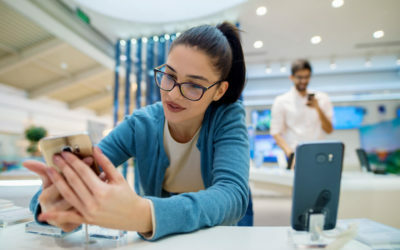 When it comes to understanding customer experience across all channels, the understanding is substantially richer when enhanced with these subtle and often not-so-subtle clues. On the right side of the graphic, you see the “world of emotional analytics” CustomerView captures, analyzes and shares with the appropriate, authenticated individuals – whether the front-line agents, their managers, and contact center operations leaders, but also leaders across the business including product line managers, marketing professionals, human resource managers, financial analysts, legal and auditing teams, and more. Depending on what a specific enterprise wishes to do – keep existing customers from leaving, sell more services into the existing customer base, convert customers to social media advocates, or attract new customers (in partnership with marketing) – we are able to shape programs and model the ROI, then run initial tests which help us fine tune the solution and attract managers across the enterprise to take advantage of the insights delivered directly to their desktop or mobile device which help improve offers at the speed of business. For example, a marketing team charged with driving new services into subscribers of broadband, can understand what happens when contact center agents make an offer for “first three months free” – are customers delighted? Confused? Do they come back with a competitor saying “they are offering six months free” – or do they come back and say their frustration and temptation to move is not about cost, but about the quality of service? Marketing teams can review this data to reshape special offers, adapt their messaging, change their pricing, or otherwise drive more interest working hand-in-hand with Operations. There’s more to the story. We’d enjoy demonstrating how our software platform works, and how you can benefit by “listening in” and gathering the analytics that enable your business to drive better results and break down traditional silos. Let’s go! You can contact us here. 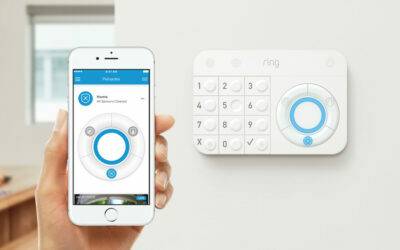 As the Internet of Things (IoT) continues to grow, companies offering connected products – from health and wellness wearables to smart home appliances – are aware of the potential to deepen relationships with consumers and tuned into the challenges associated with doing so. 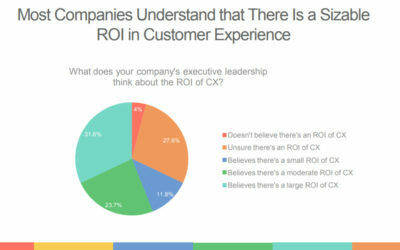 Is it possible to ascertain the impact of customer experience (CX) by studying the outcomes of CX improvement initiatives by B2C brands? Customer Experience is all about how customers discover, engage, interact with, and feel about companies they buy products and services from. Even though voice remains the dominant channel for customers, the remaining – chat, email, web, and even SMS – continue to grow.